West Ham United vs Brighton & Hove Albion: This is the first match in the ninth week Premier League competition of the season 2017-18. Both clubs are standing at together on 15 and 14th position with same points as eight by winning two matches, drawn two and lost four matches from eight. West Ham United had two wins, two draws and a loss in their recent five matches on four Premier League and one Carabao Cup. While Brighton & Hove Albion had two wins and two losses with a draw from last five matches in the Premier League. But they have scored the only one away goal in their last four matches and also they didn’t register their win so far in the away matches. They have one draw and three losses in last four away games. West Ham XI: Hart, Zabaleta, Fonte, Reid, Masuaku, Obiang, Kouyaté, Antonio, Lanzini, Arnautovic, Chicharito. Brighton XI: Ryan, Bruno, Duffy, Dunk, Bong, Knockaert, Stephens, Pröpper, Izquierdo Mena, Groß, Murray. Today’s match has scheduled at London Stadium, London on 8:00 pm. In this game, the host team will play without Diafra Sakho and Andy Carroll. Brighton have defender Shane Duffy again as a maximum to their team. Beram Kayal and Sam Baldock are out from this match due to injury on leg and calf respectively. In the last five head to head matches, the Hammers have won last three matches after a 0-1 loss and a 2-2 draw match in the English League Championship. So, the Brighton have only won one of their seven league visits to West Ham (D2 L4). From the analysis by concerning past history between these two teams, today’s match might be ended with the win of Hammers again. 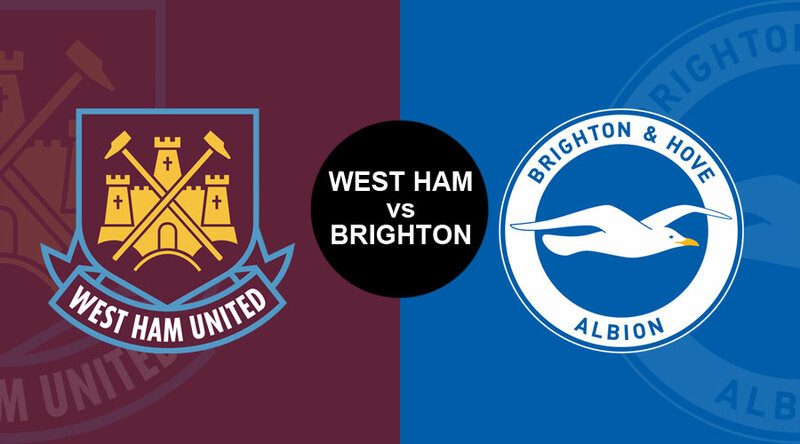 NBCSports.com, NBCSN, UNIVERSO, UNIVERSO NOW are the West Ham vs Brighton Live Streaming TV and online channels of the United States of America. BBC Radio, BBC Radio 5 Live, SKY GO, Sky Sports Premier League, Sky Sports Mix are the official United Kingdom Radio, TV, and online stream.